What an opportunity! 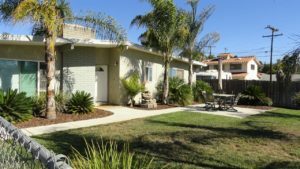 This recently remodeled home is located to the wonderful area of Old Poway. Close to shopping, wonderful parks, restaurants and prestigious Poway schools. You will love the weekly farmer’s market. The .38 acres property allows horses. The home has dual pane windows, updated kitchen with granite counters and updated tile bathrooms. Vaulted ceilings in the living room with fireplace. The bedrooms have nice wood like laminate floors, the rest of the home has tile. Two car garage, RV parking, a large detached patio cover, plus a large shed in the rear fenced yard! Click here for more details, including additional photos of 13822 Temple Street.